You are here:	Home FAQ Your Email Campaigns Your Newsletter Templates	Send your own HTML email template: import a HTML email template using a .ZIP file? 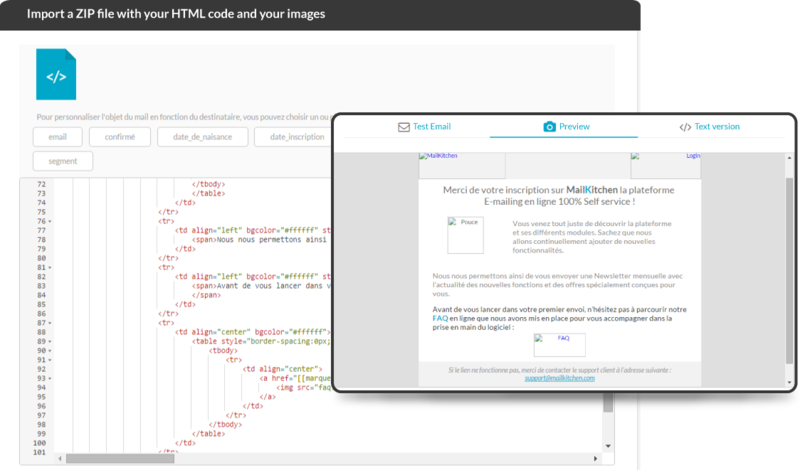 If you have an email template encoded in HTML, but your images are not hosted online, you can use our ZIP file import for importing a file containing your HTML code as well as your images. Our software will therefore import your images, host them online and automatically insert their URL links in the content of your HTML code. 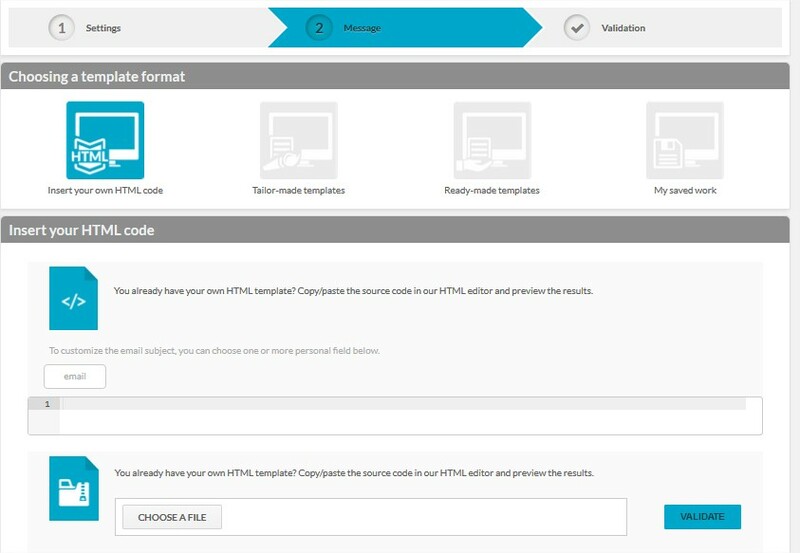 Inserting the HTML code of your Newsletter directly on our email marketing platform is very simple, you only need to save the HTML file in the ZIP folder and your template will be ready to be sent in no time. You will then see a three steps creation procedure: Settings, Message and Validation. Once that you’ve managed to create a zip folder, you can go back to your account, click on your Email Campaign and then on the 2nd STEP (MESSAGE), you should choose the Message Type, click on INSERT YOUR OWN HTML CODE and on the button IMPORT (ZIP). The system will then automatically import your file online. Also, your images will be imported in your MailKitchen image gallery and you will be able to reuse them for creating new Newsletter templates with our Template Editor. Also, before importing your ZIP folder, please check the HTML code of your email template and verify if there are protocol errors (http, https, mailto or other ) or empty link tags errors (eg href = “#”). It often happens that users insert an HTML that contains empty or incorrect ‘href’ tags (for exemple href= “# “). For being able to send your Newsletter, all the link tags in the HTML code have to be correct.